Northeast corner of 50 Bridge Park Drive. 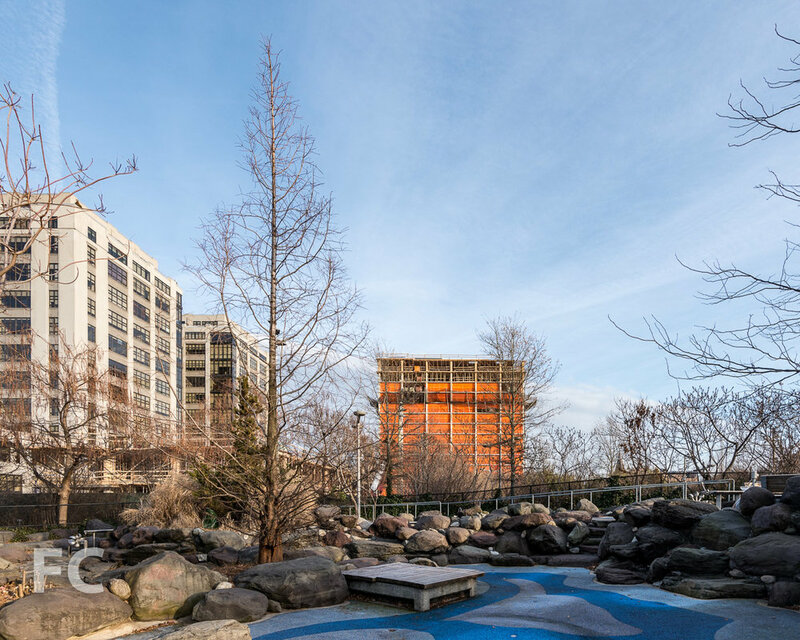 Construction is underway at 15 and 50 Bridge Park Drive, a pair of towers by developers RAL Companies, Oliver's Realty Group, and Vanke US that anchor the southern boundary of Brooklyn Bridge Park. 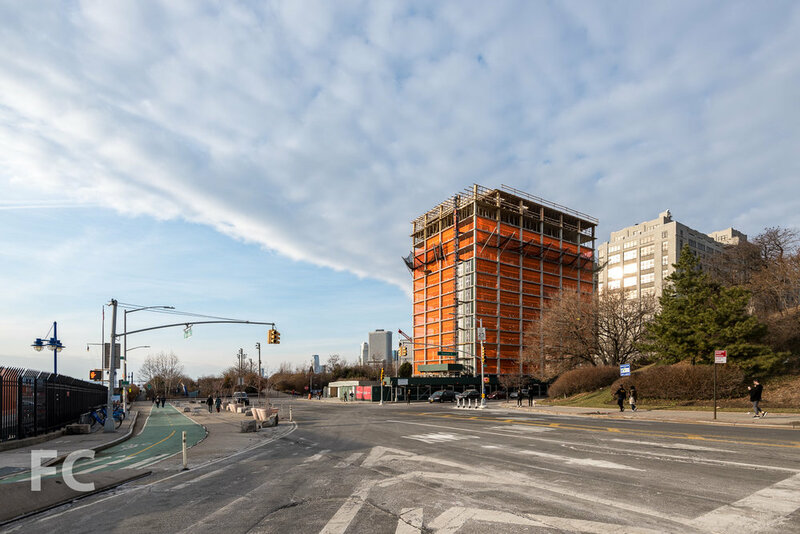 Designed by ODA New York, the towers will rise to 28 (50 Bridge Park Drive) and 15 stories (15 Bridge Park Drive) and feature a metal and glass facade in the firm's signature boxy style. 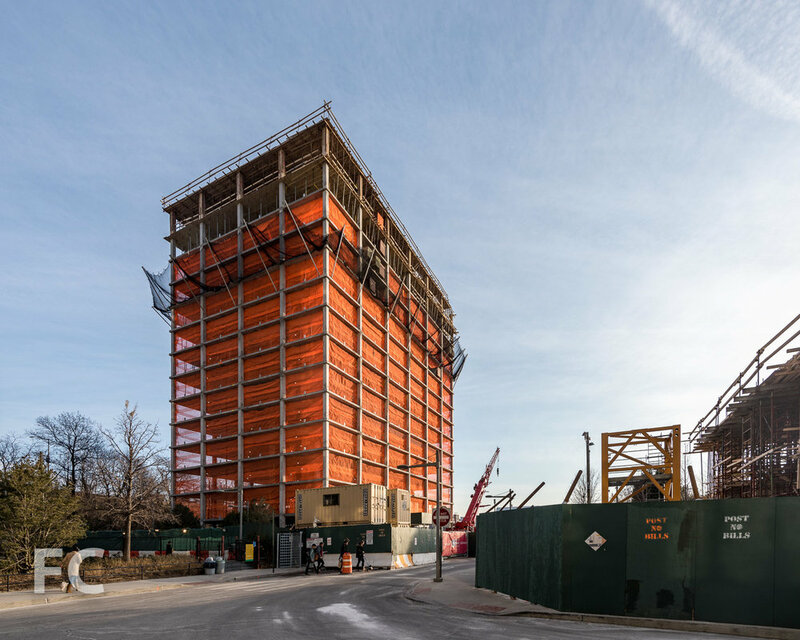 Superstructure is nearly topped out at 15 Bridge Park Drive, while the taller 50 Bridge Park Drive tower, recently named Quay Tower, is just starting to rise above ground. Northwest corner of 15 Bridge Park Drive. West facade of 15 Bridge Park Drive. Southwest corner of 15 Bridge Park Drive. South façade of 15 Bridge Park Drive. Southeast corner of 15 Bridge Park Drive.